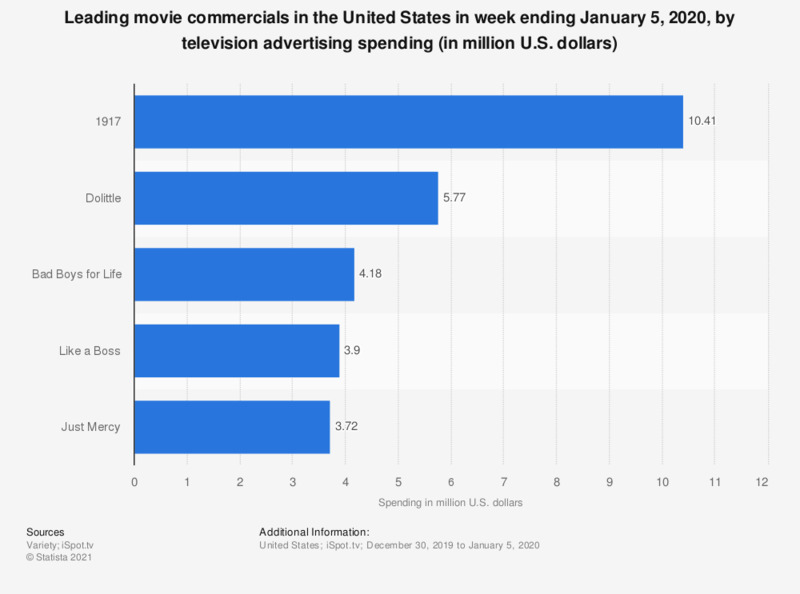 The graph shows leading movie commercials by weekly television advertising spending in the United States for the week ending April 7, 2019. Ranked first was the trailer for 'Missing Link'. Annapurna Pictures spent 7.28 million U.S. dollars on TV promotion of this production in the week leading to April 7, 2019. Everything On "Television in the U.S." in One Document: Edited and Divided into Handy Chapters. Including Detailed References. Statistics on "Television in the U.S."
Online TV in the U.S.
How do you most often decide to watch a new TV series? Would you prefer the ability to make your own pay TV package by selecting only the channels you want to watch? Would you like to be able to search for TV shows and movies across all of your TV services*? Are you satisfied with the amount of shows and movies available on cable/satellite television?